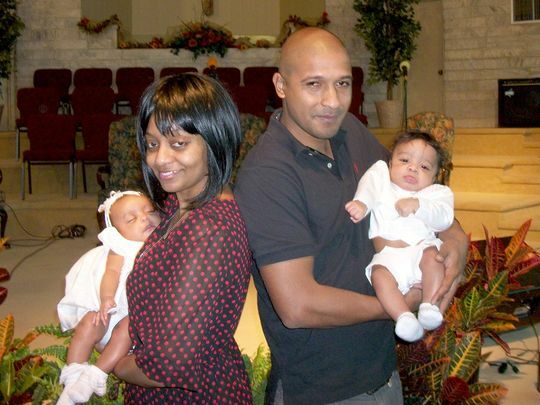 Latrelle Huff, left, is shown with her former boyfriend and their twins at the babies' baptism in 2014. Kessler is a professor of health care policy at Harvard Medical School, the principal investigator of the U.S. National Comorbidity Survey –the first nationally representative survey of mental disorders in the United States. He is co-director of the World Health Organization’s World Mental Health Survey Initiative.